It was a pleasure to have the opportunity to discuss Raykel Tolson’s latest work and thoughts on religion, real estate and real life. Why are people who love God, believe in the Bible, and attend church regularly poor? Why are non-believers prospering using Biblical principles? Have you ever pondered these questions? The world discovered the “Secret” and began prospering. The law of attraction was no secret to those of us in the church who have been reading and memorizing Biblical scriptures since childhood. Unfortunately, many of us have not accepted that the law of attraction is indeed a principle of God. If you are tired of watching others prosper while you rely on a miracle from God every month just to make your ends meet, then you need to read this book. It will help you elevate your thoughts and exercise your faith. This book will also help you decide what an abundant life looks like for YOU. (Page1) In 2015, it was estimated that there were 702 million people world-wide and 45 million people in the United States living in poverty. (Page 3) According to a 2014 Pew Research Center Study, 56 percent of Americans who attended a religious service at least one a week had an annual household income of less than $50,000. (Page 2) To be considered middle class in America a family of four must have an income between $42,000 and $125,000. 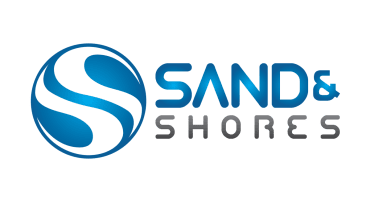 Unfortunately, many middle-class Americans are living paycheck to paycheck, with no emergency savings and not money to take much-needed vacations. They might not live in poverty, but they are poor. According to the Oxford Dictionary, poor is defined as “lacking sufficient money to live at a standard considered comfortable.” Poor is also synonymous with unsatisfactory, inadequate, and unhappy. (Page 3) I doubt I am the only person who was raised in the church to ask why people who love God, believe in the Bible, and attend church are poor. More importantly, I want to know why other people are prospering. These questions led me to learn more about the “secret” that people outside of the church were buzzing about. I researched the Laws of Attraction. I discovered that the Laws of Attraction were simply principles I had learned in church. I do find it interesting that the world is using Biblical principles, and reaping harvests, while many people in the church are not. The thing about the principles of God is that they work for whoever uses them. 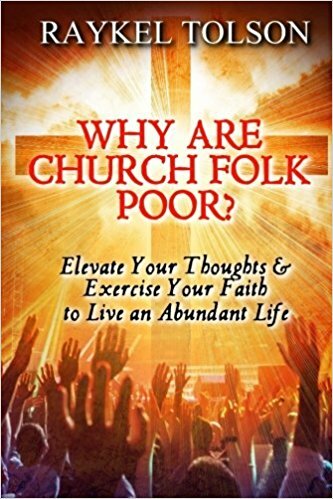 Why Are Church Folk Poor is a workbook to help people, Christians specifically, to examine their thoughts about money, wealth, God and themselves, and then to elevate those thoughts. I chose the first few passages specifically because the book is not for you if you don’t believe that there are people of God who are actually living in poverty or are living in unsatisfactory and unhappy living conditions. The next passages were chosen because the entire book is dedicated to helping people to understand that their thoughts are what’s keeping them poor. Raykel Tolson, known to most as Ray, is a content creator, mediator, motivational speaker, pharmacist, published author and spiritual coach who utilizes her education and life experiences to enlighten, encourage and empower others to live their best lives. She earned a Bachelor of Science degree in pharmacy from Florida A & M University, a Juris Doctorate from Florida State University College of Law, and a Master degree in Counseling from Capella University. Raykel is a God loving, Bible believing, church going Christian on a mission to help people to know God as love not judgement.